Ford Park has its own in-house catering company, Spectra Food Services and Hospitality. 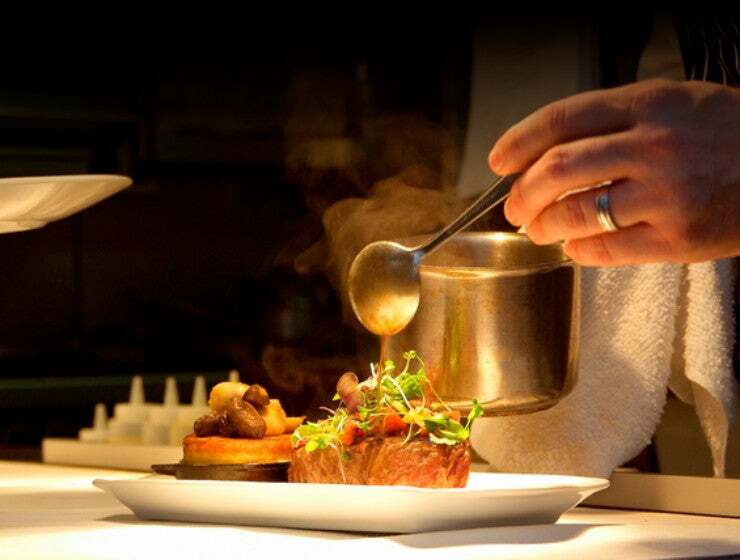 Spectra Food Services and Hospitality is compiled of an extensive team of food and beverage professionals. The team comes with years of experience spanning over many different backgrounds which has leveraged us a step above the rest. Our Catering Sales team takes a personal approach to every event and will work with you every step of the way to ensure the best fit for your event. If you don’t know what you want, we can help guide you to what makes the most sense for your event needs! Our Catering Sales team and Culinary team work very closely. The diverse background of the department is invaluable when planning the menus for the wide variety of events—however grand or informal—held at Ford Park. Spectra Food Services and Hospitality is committed to quality food and impeccable service. For more information about food and beverage at Ford Park, visit Spectra Food Services and Hospitality. Contact Keila Lopez at (409) 951-5428 or by email for more information.